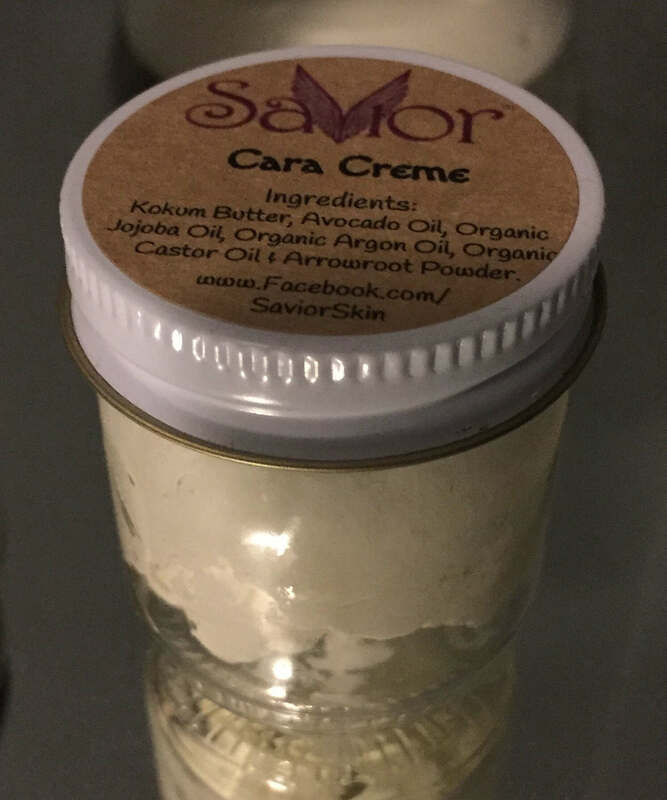 Cara Creme is a wonderful night time moisturizer to use before bed. It starts out solid but melts with your body heat as you apply. This comes packaged in a 1oz Glass Container that you can reuse, recycle or repurpose. It's made with Kokum Butter, Organic Avocado Oil, Organic Argan Oil, Organic Jojoba Oil & Organic Castor Oil. You get the benefits of Antioxidants & Vitamin E that makes your skin feel like a baby's bum when you wake up. No preservatives added but with the Antioxidants & Jojoba Oil, it extends the shelf life so you can use worry free. Doesn't irritate my eyes which are supersensitive, no odor to make them water, and it feels great. Too soon to tell if it will actually get rid of the lines, but with the great results I've seen from your other products, I am very hopeful! !